The spring of 1847 is approaching and Katherine Haufmann has just moved to Fredericksburg, Texas with her family from Germany. 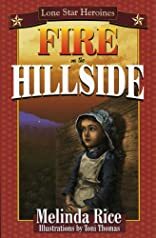 As she struggles to get used to her new home, 13-year-old Katherine becomes intrigued by the mysterious fires that start appearing in the nearby hills. 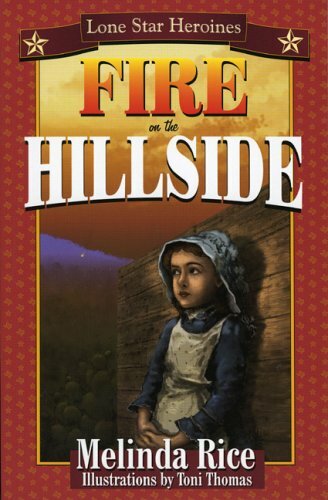 While the rest of the town focuses on peace talks with the Comanche, Katherine decides to discover the cause of those fires. The Lone Star Heroines series brings to life real events in Texas history and shows young readers how girls living during those exciting times experienced and even contributed to those dramatic events. Each book in the series includes a chapter of background stories and pictures of the actual people who lived them. Look for other stories of The Lone Star Heroines Series, and the Lone Star Heroes series for boys, too.